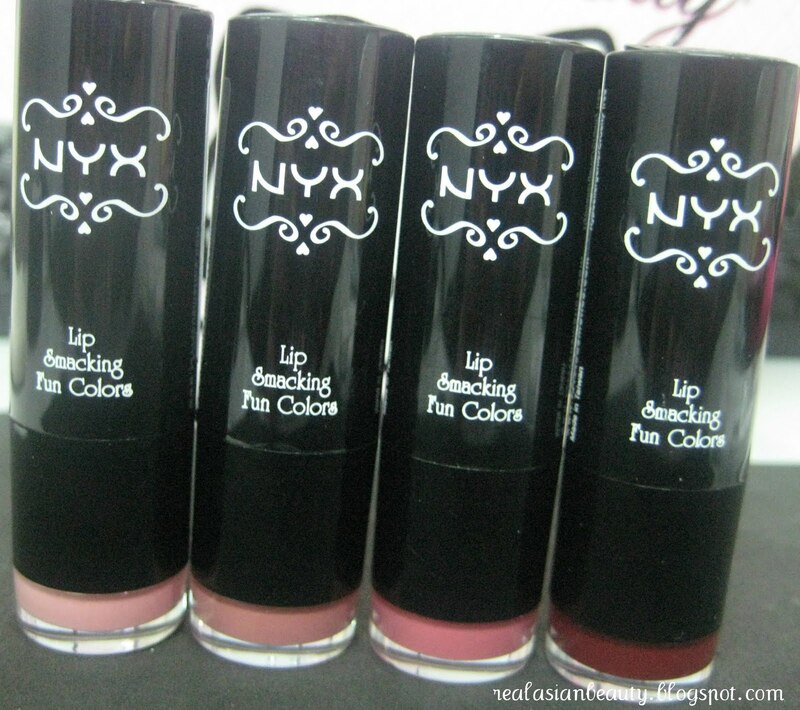 This is just a quick blog on my NYX haul. 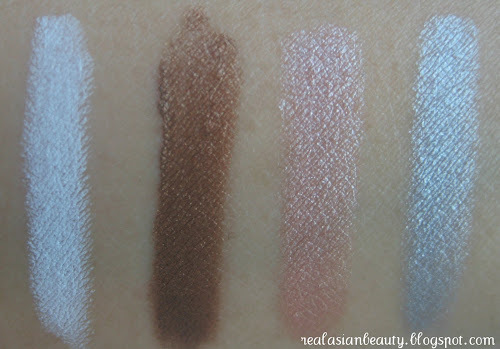 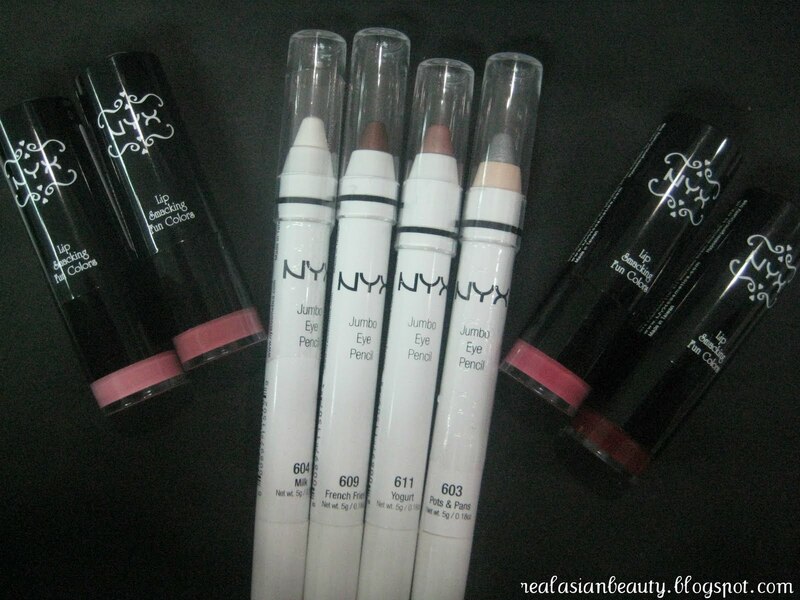 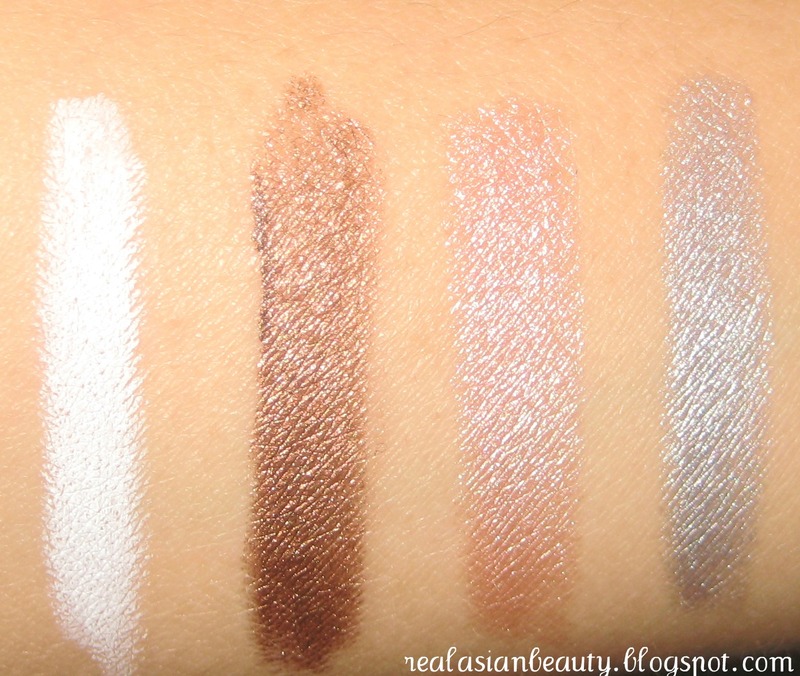 NYX is definitely one of the favorite drugstore products of many make-up lovers. The products are great, affordable, cruelty free, good quality and they also have lots of colors to choose from. 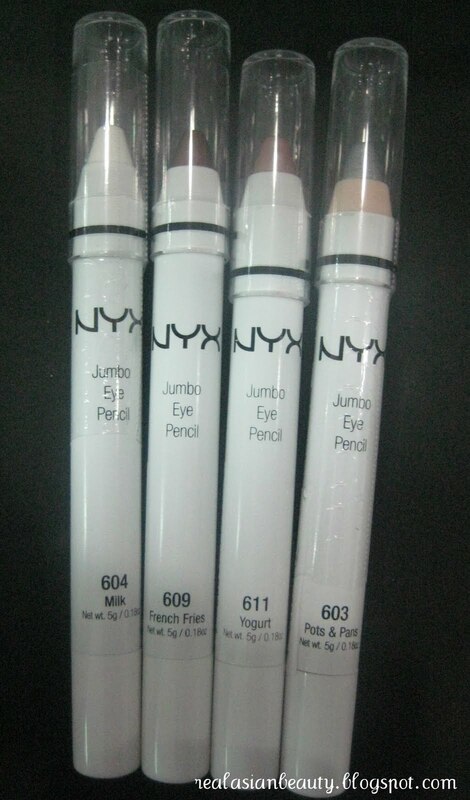 I am from the Philippines and I am not very sure if local shopping malls and departments stores have them now but from what I know, NYX purchases can only be made online. 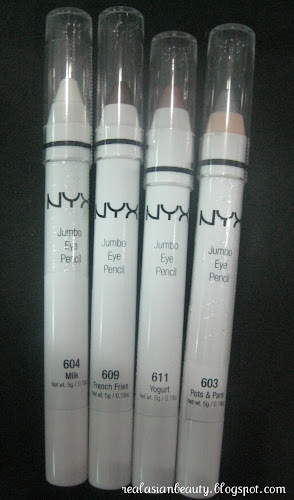 I got 4 NYX Jumbo Eye Pencils and 4 NYX Round Lipsticks.  I got mine in Milk, French Fries, Yogurt, Pots and Pans. 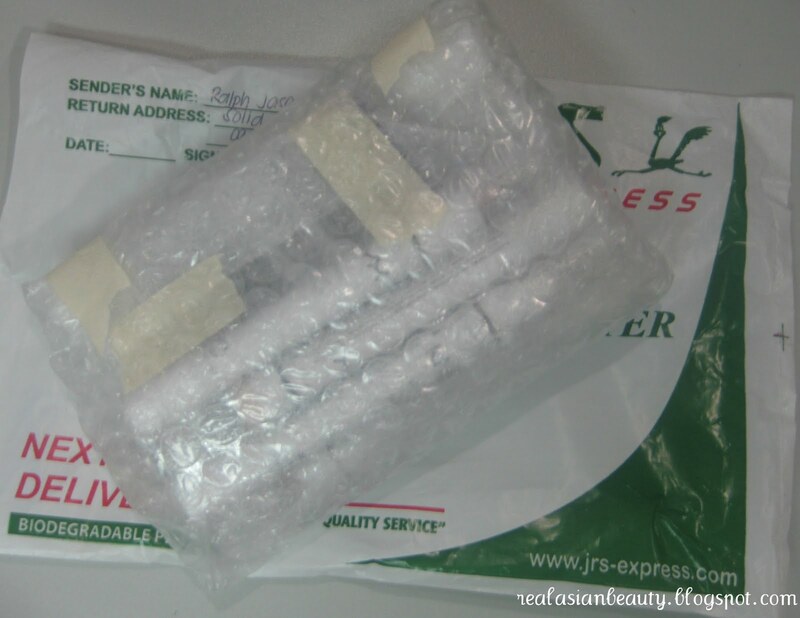 Packaging: The liners came as is. No box, no special plastic wrappings or anything. 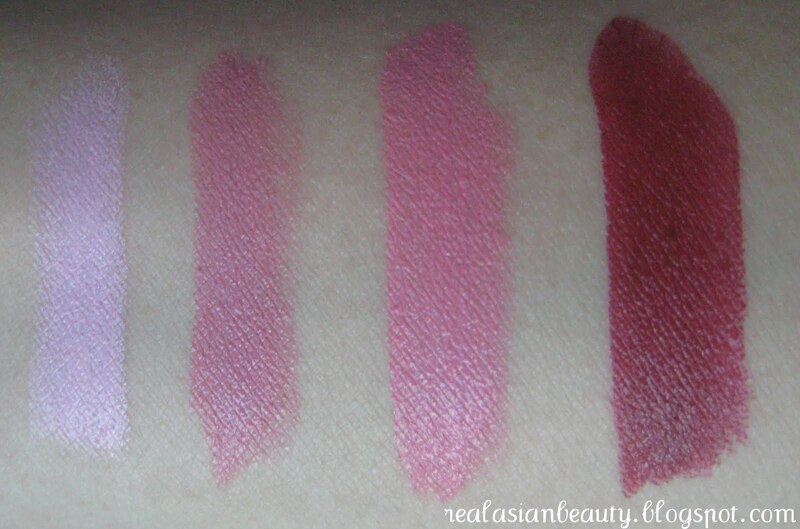 I also got 4 shades of their lipstick. I ordered Strawberry Milk, Tea Rose, Fig, Snow White. 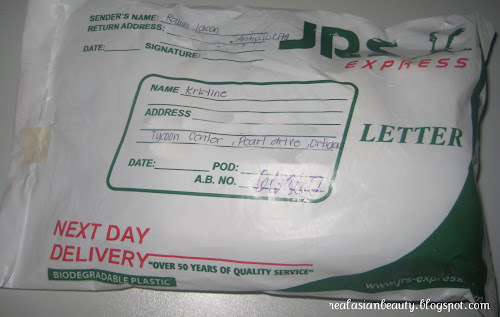 Price: I got it on sale for Php269 ($7) in a buy1take1 deal. 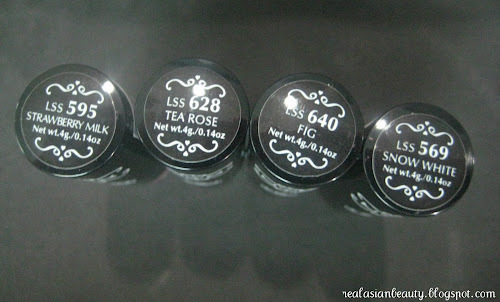 Packaging: The lipsticks came as is. 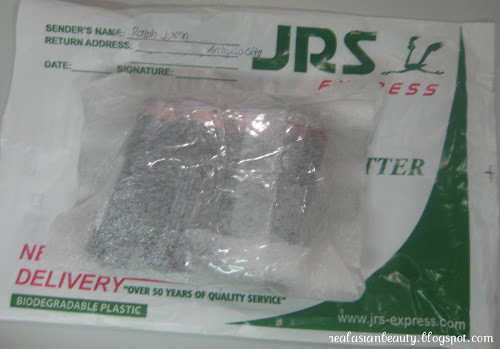 No box, no special plastic wrappings or anything. 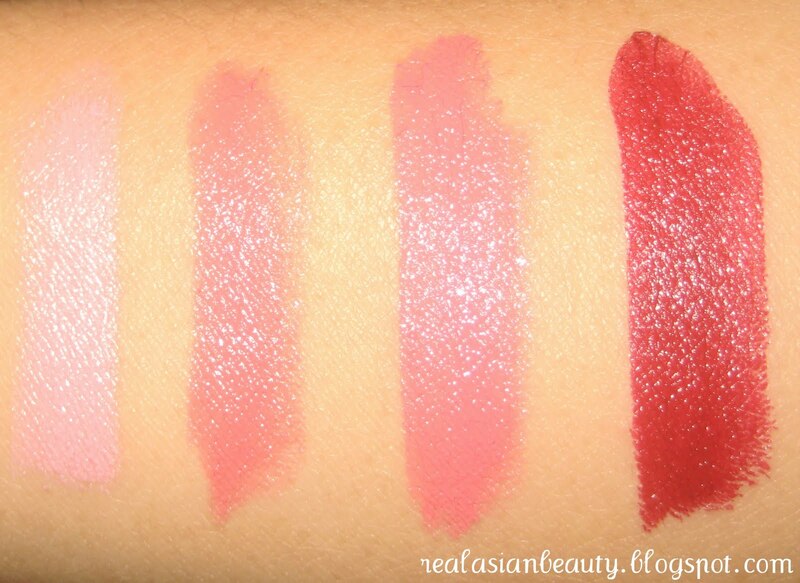 L to R: Strawberry Milk, Tea Rose, Fig, Snow White. 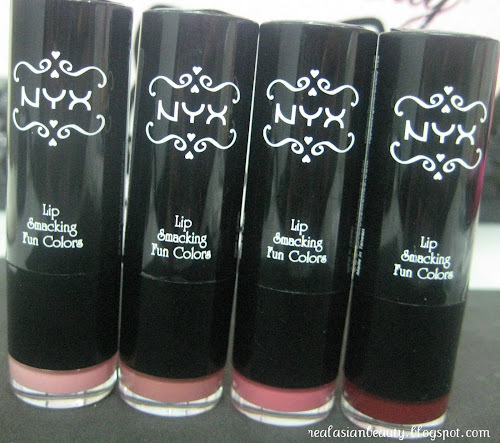 And that is the end of my NYX Haul.